Important, because we've always been taught that the brain is where all of the action is. While the brain does have an electrical & a magnetic field, they are both relatively weak compared to the Heart. 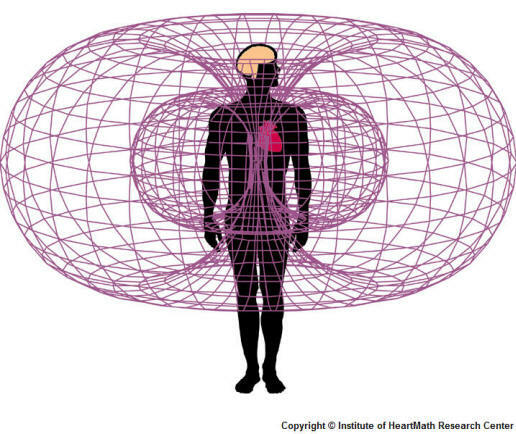 The Heart is about 100,000 times stronger electrically & up to 5,000 times stronger magnetically than the brain. 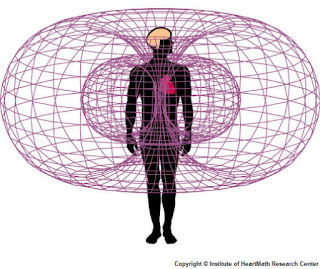 Important, because the physical world - as we know it - is made of those 2 fields: electrical & magnetic fields of Energy. Physics now tells us that if we can change either the magnetic field or the electrical field of the atom, we literally change that atom and its elements within our body and this world. The human Heart is designed to do BOTH. Prophet Muhammad, salutation of peace and blessings to his noble soul, mentioned it about one and half thousand years ago that there is an instrument in the body which of such paramount importance that if that instrument is sound and healthy, the whole system will be sound. And when it is mentioned that the entire body or the human system will be sound, that means not only he physical body but also the psychological, emotional as well as spiritual body or the psychological health, emotional well-being as well as spiritual states will be healthy. On another occasion the Messenger of God pointed with his blessed finger towards his heart and said, "Taqwa is here, taqwa is here, taqwa is here." Taqwa is a very comprehensive and deep term in Islam with encompass everything from Godly Consciousness, an awakened awareness of God in every moment, piety, spirituality." Taqwa, which is again and again is pointed out in the Qur'an as one of the most important spiritual quality a human being must strive to attain to. "Yaa aiyyhallazina amanu, ittaqullah," is a call repeated again and again. "O You who believe, o you who claim to have faith, o you who aspire to attain faith, attain God consciousness." And the singular place only where God consciousness can be attained is the Heart. Even more significant is a sacred tradition of Islam where God declares, "Nothing can contain me except the Heart of the faithful." The Sufis received the transmission from their Master Muhammad very solidly and a whole lot of their practices has to do with the heart. There is a whole science developed by the wise Sufi Masters that deals with the Heart Practice such as Dhikr, both loud and silent remembrance, making the heart receptive of inspiration, to sweep the chambers of the Heart so that only God's remembrance occur there devoid of everything else, even if for some moments in daily life, to ask for illumination in the Heart etc. 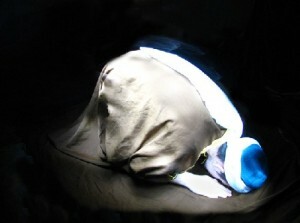 The pinnacle of Islamic worship which is prostration inside prayer is the very posture where human Heart is given a higher position over the head, literally; to convey the message that the faculty of Heart must rule over the faculty of Reason or mind for a person to operate as a true human being. The Dhikr often involves rhythmic chanting, the repetitive pronunciation of certain holy words having special vibrational quality. Now the physical heart also have a rhythmic patter, the natural pacemaker of the heart works continuously in rhythm. The rhythm of the Dhikr coinciding with the Heart's rhythm create very special effects on the being, keep the spiritual Heart alive and even enhance the work of the physical heart. There is a famous and true story about how a Taoist Master sent his students to a Sufi circle because he thought their Dhikr / Zikr is very helpful to build a better Heart. The messenger of Allah said, "the most closest place a servant could be to his Lord when he is in sujood (prostration)." And going a little further away from his disciples, Jesus Christ prostrated (fell with his face to the ground) and prayed... "My Father, if it is possible, may this cup be taken from me. Yet not as I will, but as you will." Early followers of Christ, salutation of peace to his Sacred Heart, the early Christians were granted a special love for the wounded heart of Christ, the Sacred Heart as it became known to Christian faith. From the time of John the Evangelist and Paul of Tarsus there has always been in the Church something like devotion to the love of God, but there is nothing to indicate that, during the first ten centuries of Christianity, any worship was rendered to the wounded Heart of Jesus. It is in the eleventh and twelfth centuries that the first indications of devotion to the Sacred Heart are found. It was in the fervent atmosphere of the Benedictine or Cistercian monasteries, in the world of Anselmian or Bernardine thought. The most significant source for the devotion to the Sacred Heart in the form it is known today was Visitandine Saint Margaret Mary Alacoque (1647–1690), who claimed to have received visions of Jesus Christ. In a vision revealed to Saint Margaret Christ, one of the greatest Messenger of God appeared and revealed this message on behalf of the Lord, "Behold this Heart which has loved men so much, and yet men do not want to love Me in return. Through you My divine Heart wishes to spread its love everywhere on earth." 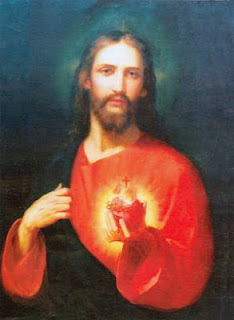 In a letter Saint Margaret Mary Alacoque wrote, "The sacred heart of Christ is an inexhaustible fountain and its sole desire is to pour itself out into the hearts of the humble so as to free them and prepare them to lead lives according to his good pleasure. From this divine heart three streams flow endlessly. The first is the stream of mercy for sinners; it pours into their hearts sentiments of contrition and repentance. The second is the stream of charity which helps all in need and especially aids those seeking perfection in order to find the means of surmounting their difficulties. From the third stream flow love and light for the benefit of his friends who have attained perfection; these he wishes to unite to himself so that they may share his knowledge and commandments and, in their individual ways, devote themselves wholly to advancing his glory." Just as in the sacred tradition of Christianity, for the true followers of Christ, the love for his Sacred Heart was a pointer and it had to be so since in the totality of Christ as a Representative Messenger who brings Message of God, the ultimate point is his Heart and that Heart even become the locus for Christians because of its being wounded for God. In the Sacred tradition of Islam we read something breathtakingly beautiful where the Beloved God declares: "I Am with those whose Heart is broken, is wounded for My sake." May we be among those who are honored to be in the company of God. May God be with us. Allahu Mayi. Once we understand the value of Heart both from latest research and findings of material science as well as from ancient, timeless spiritual wisdom, its imperative that we give priority to our Heart, matters of the Heart and purify it. "Do not let your hearts be troubled, and do not let them be afraid," taught Christ himself. "Successful will be those who comes to the Lord with a pure heart," reminds the Qur'an. Just as Heart is the strongest generator of both electrical and magnetic fields in the human body, according to the material scientists, so it is that Heart is the strongest faculty of both love and devotion field of spiritual body of human beings, as would agree the maters of spiritual science. As above, so below. May the Beloved help us realize the technologies of the Heart, help us internalize them and illuminate our Heart. Alam nashrah laka sadraka? By your reminder of "Have we not opened your Heart?" to our Beloved Master and by the secret of al-Fatiha, the Opening Talisman, O Allah please open our Hearts to Your Signs and to Your Face. By Your Will, so be it. Ameen. * Research FAQ: What is Heart Intelligence?